In this tumultuous geopolitical moment, an apocalyptic end seems too close for comfort. While it might be tempting to accept that total breakdown is imminent, it is now more important than ever to consider our place in the world and how we may continue to (re)shape it. In our approach to world-as-text and text-as-world, how can scholars “break down” without breaking? How can we respond productively, constructively, to brokenness, even as we strive to dismantle rigid hegemonic structures? Can we embrace some kinds of brokenness as beautiful, as necessary? How should the boundaries between disciplines, languages, and cultures be broken apart and revised? How do scholars need to redefine terms we once took for granted? In essence, how are we beginning to restructure, rebuild, and rejuvenate our disciplines, the Academy at large, and our relationships with the world beyond? Comparative literature as a discipline is often devoted to “breaking down”: exposing instances of untranslatability and particularity where universalities have previously been assumed. But it is also committed to “building up”: making connections that aren’t immediately obvious and creating meaningful dialogues across and between languages, texts, cultures, historical phenomena, and academic fields. In the spirit of “bridges not walls,” we invite submissions from all disciplines, including but not limited to literary and cultural studies, linguistics, history, women’s and gender studies, disability studies, anthropology, education, environmental studies, and the creative arts. The EXTENDED deadline for paper abstracts is *****September 1, 2018*****. Abstracts of a maximum of 250 words should be submitted via email as a Word document to graclsconference2018@gmail.com. We also welcome panel proposals of 3-4 speakers. 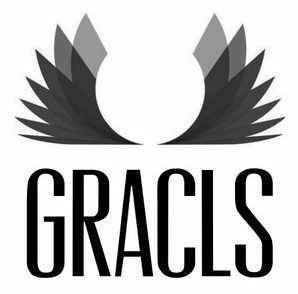 For additional information about the conference, please contact the organizers (Andra Bailard and Sarah Ropp) at graclsconference2018@gmail.com, or visit the conference website at graclsconference2018.wordpress.com.